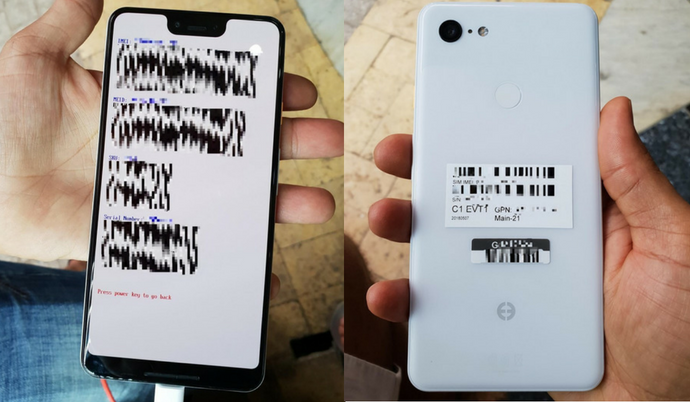 Earlier this week, the images of the Pixel 3 XL smartphone are leaked online. The device comes with a glass back body and sports single rear camera. The latest news suggests the company to announce the Android P on August 20th. While there is no confirmation, the upcoming Pixel 3 & Pixel 3 XL should be first Android P devices to be officially launched. Now, the Pixel 3 XL is listed on the benchmarking website Geekbench confirming the earlier leaked specifications. As seen on the majority of the flagship devices in 2018, the new Pixel 3 devices will also come powered by the 10nm Qualcomm Snapdragon 845 Mobile Platform. As seen in the leaks, the company might stick with just 4GB of RAM. However, there are smartphones like OnePlus 6 and Vivo NEX which offer up to 8GB of RAM. While there is no confirmation, the new Pixel 3 devices might come in two different storage options. The Geekbench listing also mentioned the Pixel 3 XL to run on Android 9. While there is no official confirmation, the Pixel should be obviously running on the latest Android version. Even before the Pixel 3 and Pixel 3 XL launch, the Galaxy Note 9 with S Pen will be hitting the market. While we know what Google does with the single sensor cameras, it should be interesting to compare the dual rear cameras on the upcoming Galaxy Note 9 and with the rumored single rear camera of the Google Pixel 3. While the Pixel 3 XL will be coming with a notch display, the smaller Pixel 3 might go with the 18:9 display. Stay tuned on PhoneRadar for more details about the upcoming Pixel 3 and Pixel 3 XL smartphones! The post Google Pixel 3 XL with Snapdragon 845 SoC & 4GB RAM Listed Online appeared first on PhoneRadar.